Opt for darker chocolates – Dark chocolate with 72% or more of cocoa is great for health. These varieties are known for working miracles for heart health while making you experience a burst of the best cocoa in your mouth. 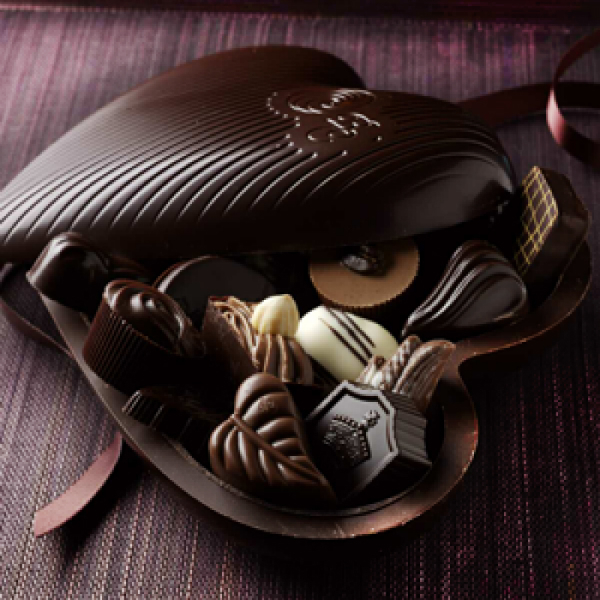 If you wish to gift chocolates this week especially to the lovers of the same over the age of 45, please opt of dark chocolates as a thoughtful and considerate option that the latter will be able to indulge in guilt-free. Choose chocolates with roasted nuts – Instead of going for plain bars of chocolates, try going for those that are packed with roasted nuts. This is one of those little ways you can take a step of two towards health through the onslaught of chocolate this week! Focus on the packaging – While chocolate day is all about chocolates, it could be a little about packaging too. Opting for beautiful boxes that contain hand counted chocolates in breath taking packaging, will keep you firmly from over indulgence. Don’t gulp down all that you receive as gifts – Yes, chocolates have expiry dates that range for months. So it is really not necessary to gulp down everything in one day or till the clock strikes 12 marking the end of the Valentine’s week! You can store it and stock it till the box is close to the expiry date mentioned in bold. This way, you can enjoy bits of chocolates for a greater period of time without adding anything significant to your poundage. Go easy with other foods – Considering the fact that you will be overindulging in chocolates, try to keep your tongue tied as far as junk / fast food options is concerned this week. Try and stick to salads and lean proteins while focusing on a variety of fresh fruit juices. Brush your teeth – This is important, lest your dentist will gain from your negligence. If you have enthusiastic toddlers, children and pre teens in your house, it is imperative that you direct them to brush out the sugar-rich cocoa, following the words of caution yourself. Follow up the Valentine’s week with Work it out week – This is something you MUST do. Every bite of chocolate that enters your system should be followed by 20 minutes of heavy fat blasting cardio. This is the only rather, one of the best ways to counter the effects of Chocolate Day. A minimum of 40 minutes routine with warm up, stretching, cardio and weights should suffice for great results while preparing you for the Chocolate Day 2016.